Nature conservation and biodiversity issues at local, national and international levels. Mainstreaming of biodiversity into economic sectors. Development and implementation of multilateral environmental agreements. Planning and implementation of protected areas, threatened species, sustainable use issues and issues related to invasive alien species. National and international management of environmental polar issues. Cand. real. zoology, University of Oslo 1971 (between Master of Science and PhD), with zoology, botany, mathematics, chemistry and biochemistry. Director, Fridtjof Nansen Institute (2004-February 2012). International Negotiation Director, Norwegian Directorate of Nature Management / Norwegian Ministry of the Environment (1995-2004). 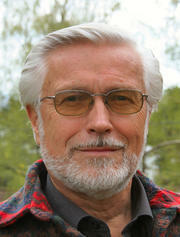 Deputy Director (1985-1989) and Director General (1989-1995), Norwegian Directorate of Nature Management. Various positions (including Head of Division), Norwegian Ministry of the Environment (1973-1985). Various research and teaching positions, University of Oslo (1966-1971). Chair of Biodiversity in WEHAB (Water Energy Health Agriculture and Biodiversity), development for UN's Secretary General for WSSD (World Summit on Sustainable Development), (2002). Chair of SBSTTA (Subsidiary Body for Scientific, Technical and Technological Advice under CBD) (1996-1997) and member of Bureau for SBSTTA (1994-1999). Chair of UNEP-Panel (The scientific and technical bases for implementation of CBD) (1992-1993). Head of Norwegian delegations to various conventions, including CITES, the Bern Convention, CBD, Ramsar and 'Biosafety'- protocol negotiations (1979-2004). Initiator of and chairman for the Trondheim Conferences on Biodiversity, 1993, 1996, 1999 and 2003. Series editor for CABI Publishing's Environmental Risk Assessment of Genetically Modified Organisms Series (from 2004) (see Vol 1 Vol 2 Vol 3 Vol 4). Chair of International Council, Birdlife International (from 2004). FNI Report 4/2010. Lysaker, FNI, 2010, 24 p.